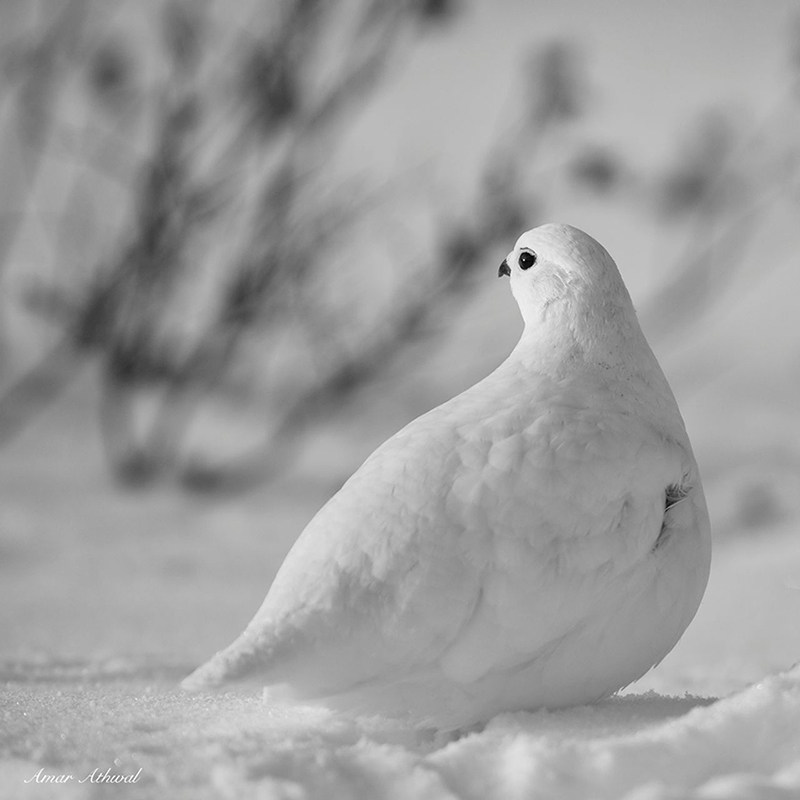 Every winter I'll come across these beautiful birds, the White-tailed Ptarmigans. They are in their winter plumage from their summer grayish brown with white underparts. They blend in quite nicely with their winter surroundings, but the effort is well rewarded when you come across them. The ptarmigan has feather on its feet as well, helping it keep warm in the winter and burrow in the soft snow to get through cold temperatures. This ptarmigan was out and about on a not so cold morning.